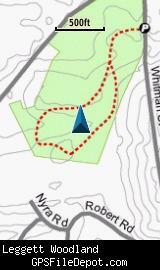 A small parcel of conservation land in Stow MA with a recently constructed loop trail, Leggett Woodland is across the street from the Butternut Farm Golf Course. 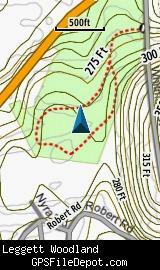 Not quite sure this property is big enough to need a KMZ map, but you wouldn't want to get lost on the loop trail! Note: This page was edited on 1/1/13 but the KMZ file was not modified.